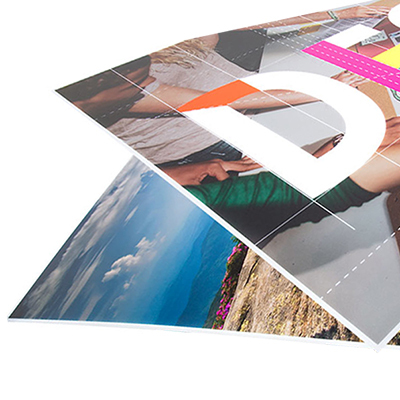 Experience an illuminated sign, logo, or photo that pops! 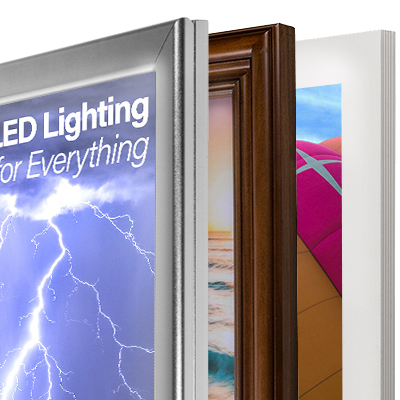 Ultra-thin LED light boxes are available blank or with custom-printed inserts. Orders ship and print within 2 days! Upload or email your own artwork. Choose from a variety of styles, such as snap-open, aluminum, or handmade wooden LED light box frames. 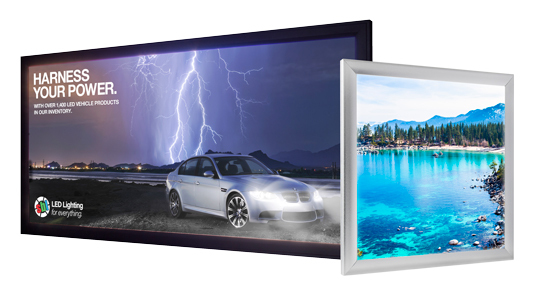 Snap-Open: These aluminum frames allow for easy image swapping. Each side easily opens and closes in an instant. Fixed: These aluminum frames are held together by screws, and a screwdriver is required to change images. Some fixed-aluminum-frame light boxes can be outfitted with hand-crafted wooden frames that fit over them.